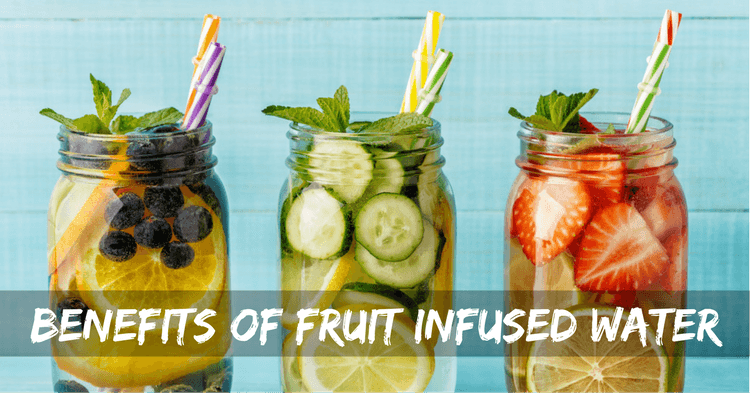 Recently fruit infused water has become very popular and recipes bloggers are quick to tout all of the health benefits of it. Anytime something is this hyped up, you should be a bit skeptical. After all, you can’t expect to drink some lemon-infused water and see the fat melt off your body! However, there are some benefits of fruit infused water that are actually backed by science. Let’s face it – water is boring. And, when something is boring, we don’t consume it. So, it is no wonder that 83% of women and 95% of men are not meeting the recommendations for daily water intake. A simple way to get people to drink more water is to add flavor. One study published in the Journal Physiology and Behavior found that “reluctant drinkers” consumed 159% more water when flavor was added. 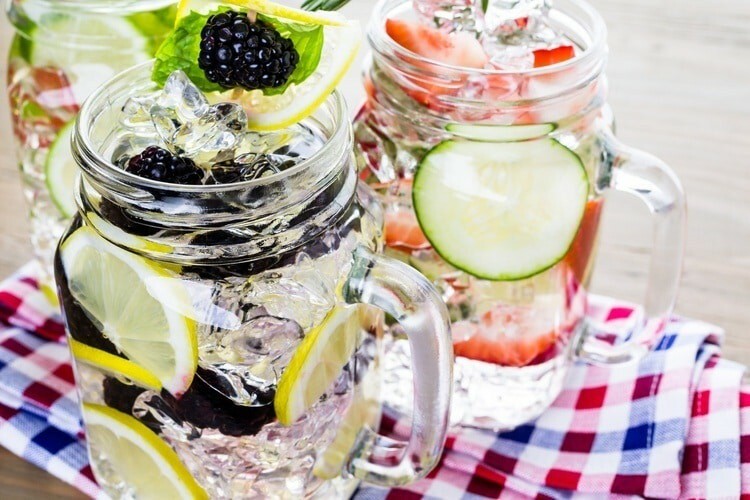 Infusing fruit into water adds a whole lot of favor. If you are one of the many people who finds water boring and thus aren’t getting enough, a fruit infuser bottle could get you drinking more. Your body needs water to stay hydrated. However, simply drinking more water won’t necessarily hydrate your body better. In order to absorb water, your body needs minerals known as electrolytes. Basically, electrolytes carry a charge which tells the water molecules where to go and maintains fluid balance in cells. One of the benefits of fruit infused water is that electrolytes from the fruit get into the water. This is especially true of citrus fruit infusions as they are rich in electrolytes. Cucumber is also a good source of electrolytes. No wonder lemon-cucumber is one of the most popular fruit infused water recipes! Here’s a cool hack to take the hydration benefits of fruit infused water to the next level: Add a pinch of sea salt to your water. While too much sodium is bad for you, sodium is an important electrolyte. Adding it to your water can boost hydration, especially when paired with the other electrolytes you are getting from the fruit. Opt for mineral-rich salts, such as Celtic sea salt or pink Himalayan sea salt. Here is the benefit of fruit infused water which gets talked about most. While most of the claims are exaggerated, there is scientific evidence which shows that drinking water will support metabolism and thus help weight loss. Drinking water speeds metabolism: It has been found that even mild dehydration can slow down your metabolism by 3%. If you want to burn calories efficiently, then you need to stay hydrated. Drinking cold water promotes thermogenesis: Thermogenesis is the process through which we produce body heat. In several studies (such as this one and this one), it was found that drinking cold water increased metabolism rate. One set of researchers concluded that drinking 2 liters of water per day would increase caloric burn by 95 calories. There’s no telling where this statistic comes from, and no research (that I am aware of) which supports the claim. However, we do know that certain vitamins and minerals are leached into water during soaking. You won’t get all the nutrients from the infused fruits and veggies. Only water-soluble nutrients can get into the infused water. Don’t expect to meet your nutrient RDAs just by drinking fruit infused water. However, a little bit of extra nutrients can go a long way towards your overall health! Americans are finally waking up to the dangers of drinking juice. Juice is full of sugar, which can cause blood glucose levels to spike. This increases risk of diabetes and causes the body to store fat. For people trying to lose weight, juice is also has the downside of being full of calories. That doesn’t mean you should never drink juice. There are some benefits of juice – especially when it is freshly made and contains vegetables. It just means that you shouldn’t rely on juice for hydration. Fruit infused water has the benefit of being a flavorful alternative to juice. Because the infusions often include ingredients rich in vitamin C, you can even get many of the nutrients found in juice but without the blood sugar spike that juice causes. 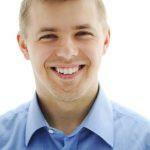 There has been a lot of research done on the subject of water consumption and satiety. For example, in this study, it was found that drinking water before a meal reduced calorie consumption by 13%. That’s a huge reduction in calories! You don’t need to drink fruit infused water to get this benefit. However, if the flavor of infused water is helping you consume more water, then you can count on feeling full faster. There are a couple ways which fruit infused water can help reduce hunger cravings. The symptoms of thirst – such as fatigue and dizziness – often mimic those of hunger. Further, as we get older, we lose our perception of thirst. These can cause us to mistake thirst for hunger and overeat. Danyale McCurdy-McKinnon of the Fit for Healthy Weight Clinic at the University of California, Los Angeles recommends that you drink a glass of water first when you feel hungry. If you still feel hungry afterwards, then you know you are actually hungry. A study published in the American Journal of Clinical Nutrition found some interesting results for people struggling with hunger cravings. They tested hunger cravings in subjects after drinking plain water and sweetened water. The patients who drank sweetened water had fewer cravings afterwards. So, add some more flavor to your water and you shouldn’t feel so hungry in the hours after drinking it. Contrary to what all those anti-reflux advertisements would have you believe, stomach acid does NOT cause heartburn or GERD. Rather, those conditions are caused by having too little stomach acid. Without enough stomach acid, the body isn’t able to properly break down food. This results in inflammation which pushes stomach acid into the esophagus (where it should never be). A simple way to improve digestion is to add lemon juice to your diet. You can do this by infusing lemon into your water. If you battle with kidneys stones, then you’ll want to start drinking lemon infused water. The benefit of this fruit infusion is that the acids in lemon help prevent calcium from turning into crystals. Likewise, simply drinking more water will also help prevent kidney stones. Some research also shows that the electrolytes in fruit infused water could also help reduce kidney stones. However, you will notice that most of the benefits of fruit infused water are from the water itself, not necessarily the infusion ingredients. Even when the benefits can be attributed to the ingredients, many times you are better off eating the fruit or vegetable itself. Yes, the benefits of fruit infused water might be a bit exaggerated. But that doesn’t mean you shouldn’t infuse your water! The benefits of hydration are definitely not exaggerated and you should do everything possible to ensure you are drinking enough water throughout the day. Infusing water is fun and makes it taste a whole lot more exciting. If this will get you drinking more water, then you should join the many other people who are trying fruit infused water combinations. The great thing about fruit infused water is that it is a lot cheaper than those pricy “detox” and “sports” drinks. All you need is an infusion bottle. You can check out our review of the best fruit infuser water bottles here. Try these nutritious and tasty fruit infused water combinations and you’ll see why so many people love this trend. What’s your favorite fruit infused water combination?